Renown Netherlands based superyacht builder Oceanco delivered its latest build the 88.5m (290′) M/Y Barbara earlier this month. 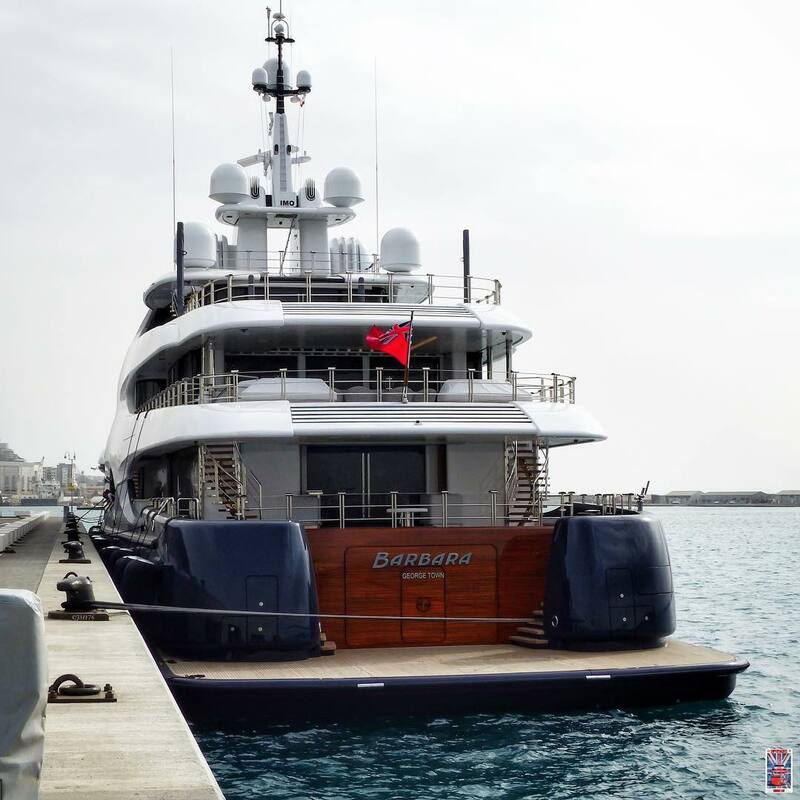 Barbara is the sistership to M/Y Nirvana which was launched in 2012. The two superyachts share certain design features such as the special metal transom that is designed to look like gloss wood. 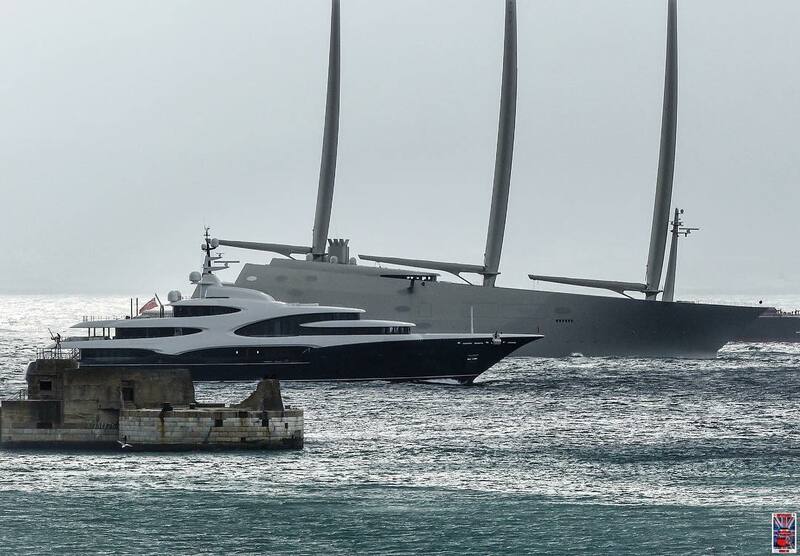 No interior photos are currently available, Barbara’s build has been shrouded in secrecy and she is unavailable for charter. What appears to be gloss wood on the transom is actually metal. Oceanco’s M/Y Nirvana and M/Y Anastasia also share the same design. Photo by Jarrad @ superyachts_gibraltar. The interior and exterior have both been designed by Sam Sorgiovanni and the interior includes luxurious accommodations for 12 guests across six cabins plus room for an additional 27 crew members. She has been built with a traditional full displacement steel hull, aluminum superstructure and teak decks. 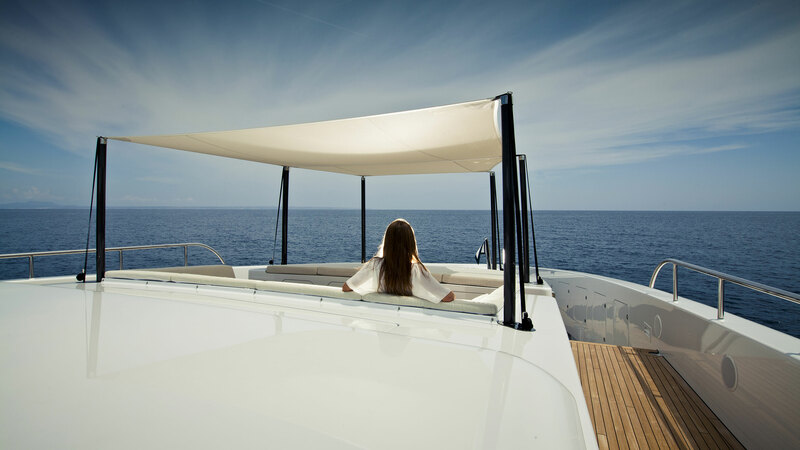 Her steel displacement hull cruises at a comfortable 16 knots with a top speed of 19 knots.